In Australia, there is a growing awareness and enjoyment of farmhouse style ales. However, most of the beers released by local brewers as farmhouse ales, such as saisons and bières de garde, aren't actually brewed in a farmhouse and are unlikely to ever come into contact with one – unless a farmer buys a bottle and takes it home to drink. Instead, they tend to be interpretations of ales historically brewed in the European regions of Flanders and Wallonia, with their key feature the use of a yeast with origins in those regions in order to capture the spicy nuances of the originals. But that's usually as far as the farmhouse side of things goes. That’s not the case at Beard and Brau, however. This Queensland farmhouse brewery is, you could say, true to style: a farmhouse brewery on an actual farm. 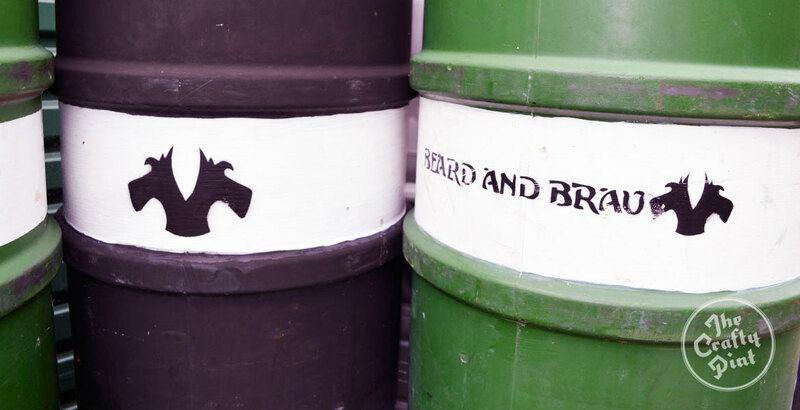 The Beard and Brau story began in 2008, albeit not on a farm. 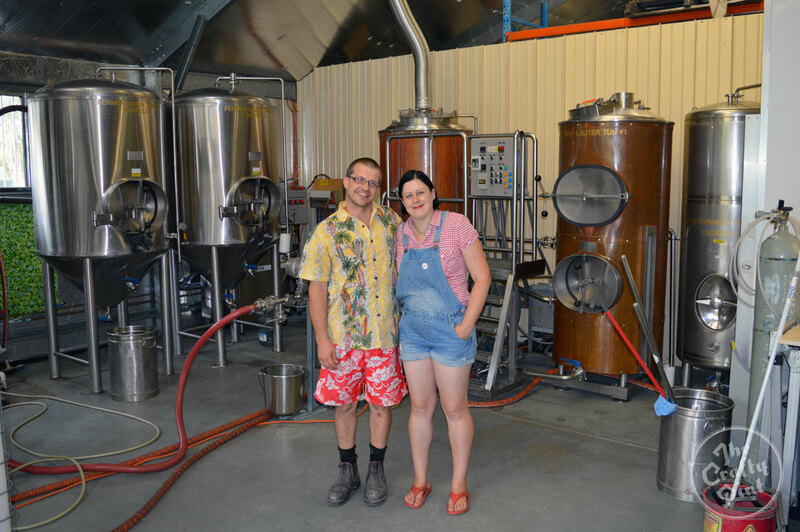 Back then, Tanya Harlow and Chris Herring launched from meagre beginnings, building a brewery in an industrial estate in Adelaide’s Para Hills West. They'd always dreamed of a more rural lifestyle, however, as well as the chance to use locally grown ingredients in a brewery that was also environmentally friendly. In 2012, that chance arose, in the form of a job offer for Tanya in Brisbane. So, without further delay, they began a search for their dream country farmhouse. 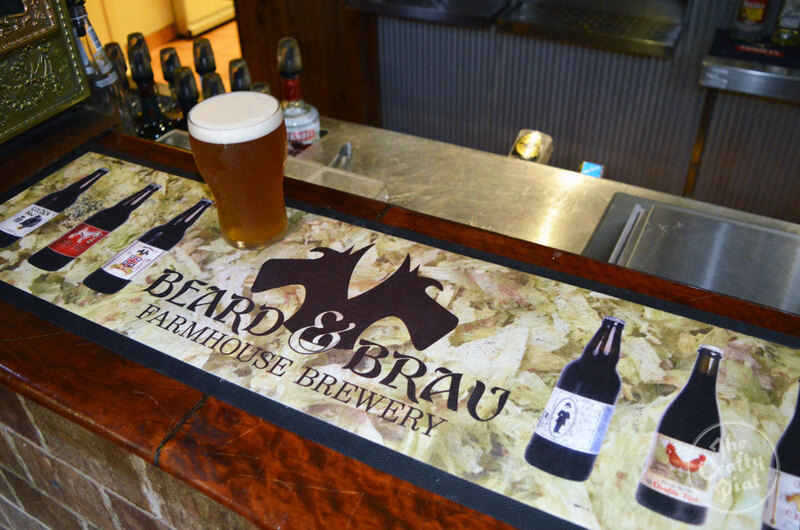 Their search took them to Mount Tamborine and a beautiful farmhouse property with 10 acres of land on the banks of the River Albert: the ideal spot on which to start the next chapter of Beard and Brau. Using their venerable, but sturdy, 800 litre stainless steel kit, Chris set out to use locally grown malts and botanicals to make ales that made a feature of their new farmhouse location. Unfortunately, the council had other ideas and forced “antiquated plumbing regulations” upon them that prevented production for almost two years. To maintain supply, Chris contract brewed across South Australia and Victoria as the couple battled red tape. Finally, once confirmation of the council’s permission was received, Chris and Tanya began brewing in earnest. Six core beers, several experimental brews and many one-off seasonal releases have been brewed to date: all of them using local ingredients. This ranges from honey to orange blossom, tart mulberries to stinging nettles – the list goes on. The brews, like the brewery name and logo, have a dog-related theme: Golden Paw, Red Tail, Black Snout and Bon Chiens farmhouse ale, for example, all in honour of their pet Schnauzers. To repay the love they received from the craft beer community while unable to brew at the farm, Chris and Tanya are happily helping out fellow startup brewers by inviting them in to contract brew on their kit. So far, they’ve welcomed Gold Coast’s Black Hops Brewing, who began their journey at Beard and Brau with their excellent Eggnog Stout back in October 2014, as well as Gavin Croft, from Croft Brewing, and Mike Webster, from Scenic Rim Brewery in Alford, in the heart of the Queensland hinterland. As they pursue their brewing dream, Chris and Tanya are remaining true to a central philosophy of sustainability and self-sufficiency. At present, Chris says he has managed to get the ratio of water used to beer produced in the brewery down to just under two to one – major breweries such as SABMiller and AB InBev have been putting great focus on water usage, getting some of their plants down to between three and four to one, putting Chris' achievement in perspective. To achieve this, he says their water is captured from the sky, then UV-treated and filtered before precise combinations of minerals are added to the water to ensure their yeast can function properly. This is a critical point as, every time a specific beer is made, the water chemistry needs to be the same from batch to batch. Wastewater is then treated and sprayed back onto the pasture, thus continuing the circle of sustainability. As for spent grain, that is provided as feed to the local livestock. In recognition of these measures – and other environmentally friendly practices – Beard and Brau has won the Environmental Sustainability Award two years in a row at the Scenic Rim Business Excellence Awards. As something of a twist in the tale (or should that be tail? ), Chris is currently attempting to convert the entire Beard and Brau range to be gluten free too, via the use of Brewers Clarex, a enzyme most commonly used by brewers to remove chill haze but which can also degrades gluten into harmless peptides. Exit Brewing used it recently in one of their limited releases too. Beard and Brau brews can be found across South East Queensland as well as in select places in their hometown of Adelaide (check their website). If you're in the region, keep an eye out for tap takeover events at The Scratch Bar, Saccharomyces Beer Cafe and Newstead Brewing, all in Brisbane, where the venues will be lining up the full Beard and Brau inventory. You can also head on over to the Bearded Dragon Hotel in Mount Tamborine. This old time Queensland watering hole acts as a makeshift cellar door with all six core beers available, and the option to sample them with a tasting paddle. * This section has been updated from the original article. We will be addressing the topic of gluten free beers in detail for a future article on the site.